Fort McMurray’s dream of a Western Major League Baseball team could become a reality as soon as Monday. The Regional Recreation Corporation sent out a media advisory Friday afternoon, scheduling a media conference for Monday morning at the iSafety Clubhouse in the baseball stadium at Shell Place, where it is expected the team’s name, quite possibly the Fort McMurray Giants, will be announced, bringing a WMBL franchise to the region for the 2016 season. Different leagues have been eyeing Shell Place’s new baseball stadium as a market for a new team since the stadium opened, though a WMBL franchise has attracted the most attention. The WMBL calls itself the “pre-eminent” summer collegiate baseball league and operates six teams in Saskatchewan and four in Alberta, consisting of players mainly from the National Collegiate Athletic Association. 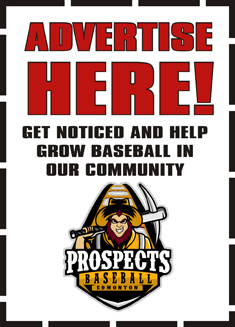 The closest market to Fort McMurray would be the Edmonton Prospects, while other Albertan franchises exist in Okotoks, Medicine Hat and Lethbridge. News of a potential WMBL team leaked early in October when a posted was circulated for a fundraising dinner Nov. 17 at the Sawridge Inn and Conference Centre featuring Toronto Blue Jays players Kevin Pillar and Chris Colabello. Sports broadcaster Jamie Campbell will also be joining them. Monday’s announcement will take place at 11 a.m.